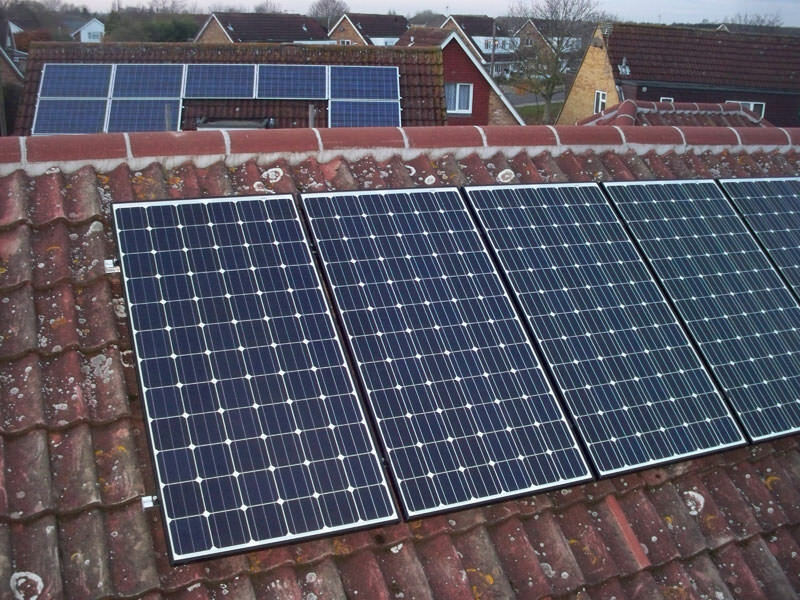 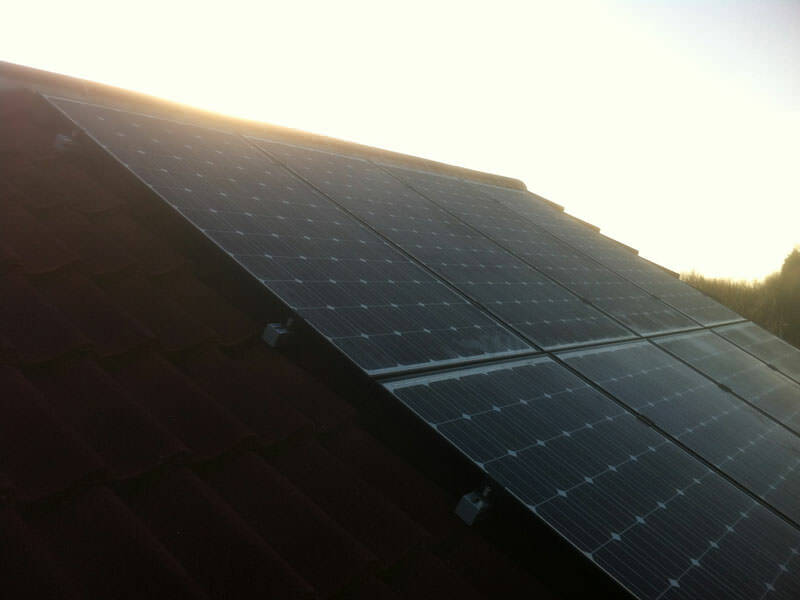 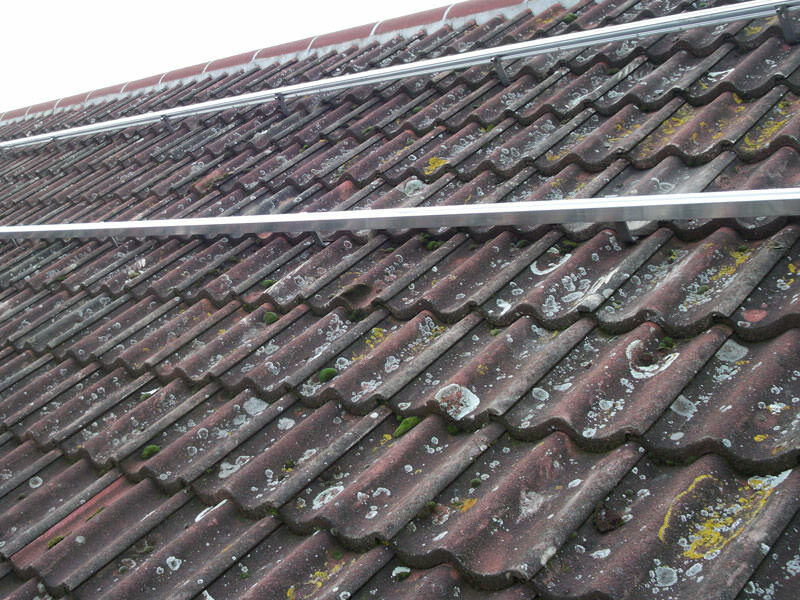 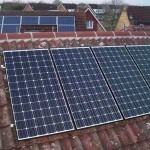 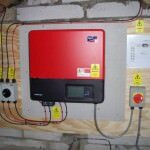 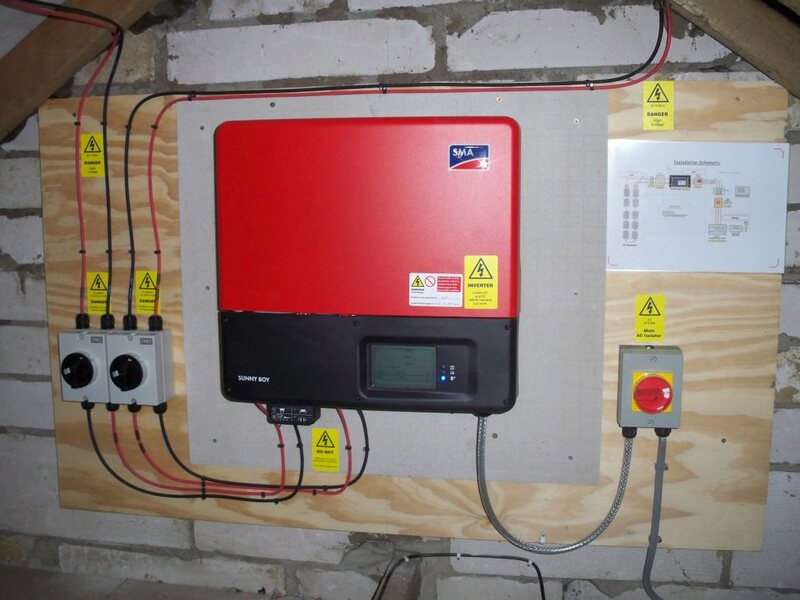 Solar PV installation in Alconbury, including VPhase Voltage Optimisation energy efficiency system. 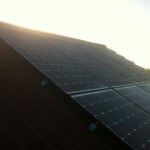 3.995 Kwh, East And West facing using 17 x 235w Sanyo Modules. 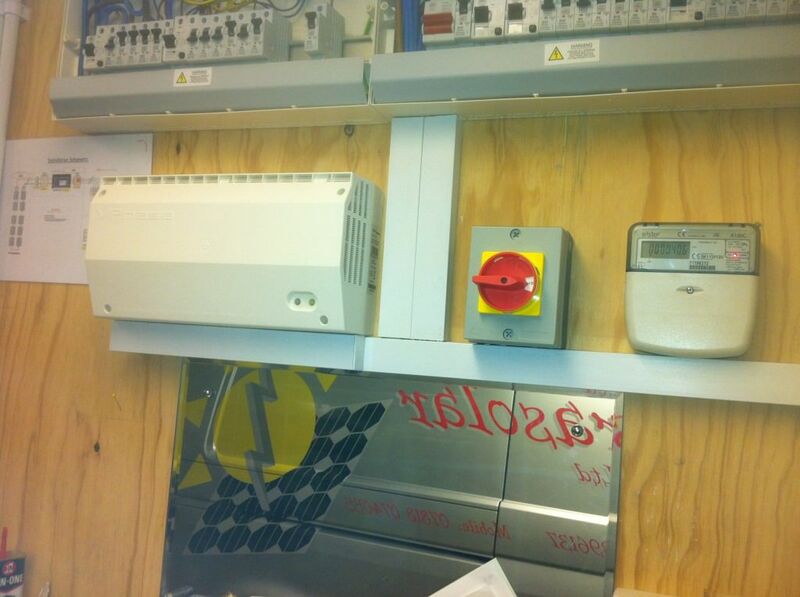 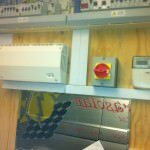 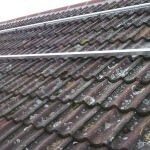 Photos of invertor and electrical work etc during installation before labelling etc.